Why Don't We Teach Every-Other-Week Lessons? 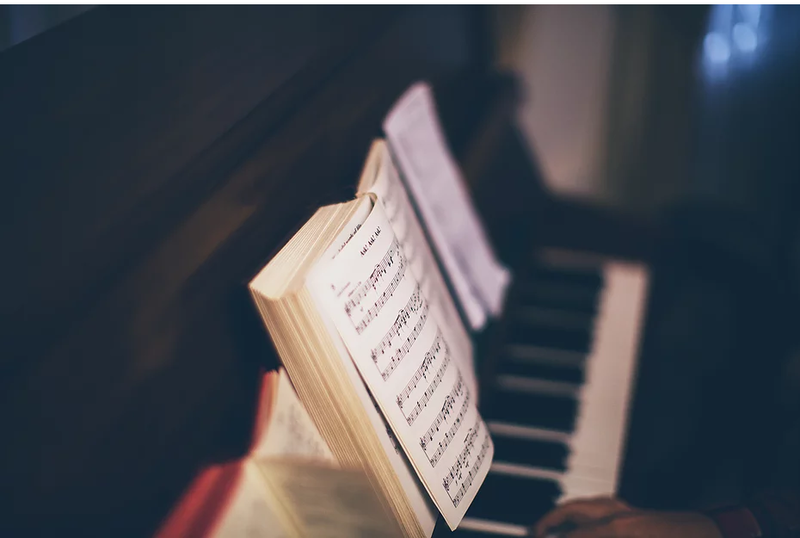 As a music teacher, I've had all sorts of scheduling requests from parents and students — monthly lessons, every-other-week lessons, 3 times a week, I've done it all! And I get it — everyone has different schedules and goals as far as what they're wanting with music lessons. Every other week lessons are by far the most common request I get from parents. It seems like it would be the perfect compromise — you still get lessons several times a month, but it's much easier on your budget! So I've tried out every-other-week lessons with many students, but I've noticed it never seems to work out — for some reason, those students never progress as fast as my weekly students. If you're not practicing on your own, you will not progress as fast. (duh!) But it's more than just progressing half as slow as the students who are taking weekly lessons — because you are MUCH more likely to have forgotten everything you learned in the last lesson if two weeks have gone by. I've had so many every-other-week students who barely progressed at all because every single lesson turned into a review of the last lesson. Yet my weekly students who were slacking on their practice time were still progressing because they didn't need as much review time. But I'm sure that's not you because you're a great student who will practice regularly, right? So what about the students who do practice regularly and still want to take every-other-week lessons? I've tried every-other-week lessons with some really talented students who were very committed to daily practice in between the lessons. These students were practicing on their own. A lot. And they were making the usual mistakes that students make — not paying attention to fingerings, an occasional wrong note, technique problems, etc. But since these students had practiced those mistakes in their pieces for a solid two weeks, the mistakes were so ingrained in their muscle memory that they became SO much harder to correct. If we had had a lesson a week earlier, we could have corrected those mistakes right away and saved ourselves a huge headache! I had one student who learned about 10 pieces on her own in between her lessons — and she had done a great job learning the notes. But as a teacher, my job is to guide my students through those little details — the articulations, the fingerings, the phrasing, and the little nuances of playing music — and I didn't have the chance to help her with those details while she was still in the "learning" phase. And muscle memory is a tricky thing: once a piece is learned one way, it's difficult to play it any other way! You will miss lessons. Life happens. Even the most dedicated students have to miss occasionally or get sick. If you're taking weekly lessons and miss the occasional lesson, the most you'll ever go without lessons is two weeks. But if an ever-other-week student misses lessons, their gap between lessons turns into a month. So from my experience, weekly lessons really are the perfect sweet spot when it comes to having the right amount of practice time between each lesson and still getting regular guidance from your teacher. Interested in signing up for weekly lessons at NOLA School of Music? Scroll down to our sign up form below and we'll get back to you right away to set up lessons with one of our teachers!